Enjoy the last days of summer by hosting an outdoor party for your little ones. Although butterflies are mostly talked about in the springtime, have you noticed that you can still spot many during the summer months? We love spotting these delicate insects all throughout summer in our gardens, and decided to throw a butterfly party for little girls. Although we have geared this towards little girls, this party can be adapted for baby showers, bridal showers, and toward older kids by just switching the party games to be more age or even appropriate. 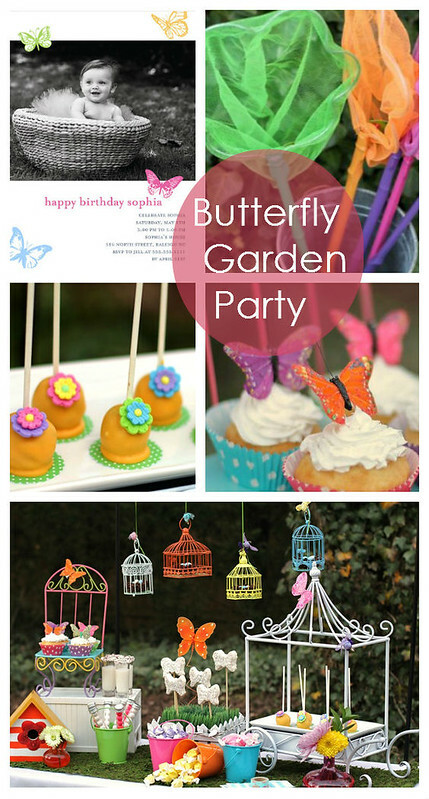 For great activities, get guests running around with a butterfly catching activity. Another great idea is to have them create their own butterfly snack favor. Guests can also create butterfly wings that are great to wear at the party! There are tons of ideas to do when you have a full backyard to use. For more kid's party ideas, check out our Pinterest board.